Undertaking a new home renovation can be difficult, even for the most experienced contractors. Most projects include some degree of demolition or clean out process before the construction can begin, and roll-off dumpsters can save significant time and energy. Determining which dumpster is appropriate for the job is essential and can save you hundreds of dollars. There are many different varieties of dumpsters available for rent. Open-top roll-off containers are typically best for any home-renovation or yard clean-up project. These are great because they are easy to fill and can usually be placed close to the work site. There are many sizes of these units to fit a variety of projects, which you can see here. Once you understand what project you are about to undertake, you then have to determine how much waste you are going to remove. This includes the initial cleanout process, removing furniture, carpeting an flooring, and any existing decor that will be garbage. It is important to think about how these items will sit in the dumpster. Carpeting and flooring may stack well in the container, but furniture might not. Also, consider trash that will arrive with new furniture such as boxes and packaging. The initial cleanout may not be all of your garbage for the project. Remember that you are not in this alone. There are people whose job it is to match the correct unit to the job. At Tri-State Waste & Recycling Inc., there are customer service members who are experienced and trained to help with this sort of thing. They are just a phone call or an email away and are always glad to help. 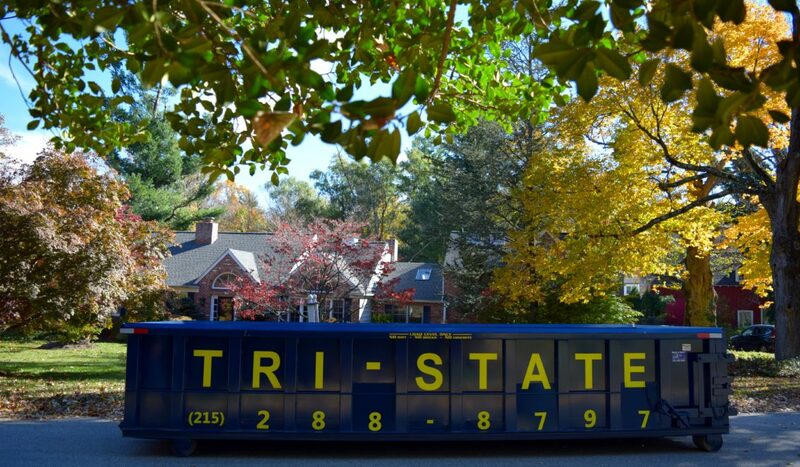 If you have a home renovation you are about to begin, a dumpster will certainly save you time and hassle. By following these steps, you can be sure to select the appropriate unit for the job.